Value Forward Group / News / How to Sell Against IT Competitors and Win! How to Sell Against IT Competitors and Win! Every successful IT company has a sales and marketing system – a process on how they handle direct and indirect competitors. They either ignore them, negatively sell against them through verbal criticism, or poo-poo them as non-competitors or non-players. Does that make competitors go away? It’s not what you sell – it’s who you sell against. Otherwise, we would not need sales and marketing investments because prospects would just call your office and an administrative team would take the orders over the phone. Let’s be honest. We all have competition. Big IT companies worry about small boutique players with lower operating costs. Small companies worry about big companies that have national marketing budgets and big references. Start-ups worry about everybody. So don’t worry about competition so much — they’re probably worrying about you too. Just accept that competition issues are just another objection management variable that you need to control as a technology and professional service salesperson. The psychological pressure and fear of competition in a deal makes IT salespeople drop their price, accelerate their sales cycle (before the decision maker is ready) and bring in sales managers when they are not needed. IT competition can be managed a lot easier than you may think. When dealing with IT sales competition, always think offensively rather than defensively. Usually, IT salespeople react to competition instead of preparing for it. Going forward, always assume there is competition and then position your firm uniquely enough so that all other players are strategically in a defensive position. Selling technology is a premeditated sport! If you prepare for the big game, you can win! Imagine then what it would be like to stand out when marketing and selling technology or professional services to management in a highly competitive marketplace and attract more sales and more prospect respect during your sales cycle . . . without worrying about your competitors. One way to sell against direct competitors is to use strategic language to describe them during the sales and marketing process. How you react and how you respond to competitive pressure during your sales cycle sends subliminal communication to the buyer of your offerings or weaknesses. How you describe or respond to competitor comparisons sends out confidence messages to your prospects as they try to move to a short list of potential vendors based on their “education”. Proactively manage your competitors so they don’t control your sales cycle by manipulating the buyer’s perception of you. You must always manage every step of your revenue capture process. Hope is not a strategy. Don’t ever directly sell negatively. Although negative selling does work because it communicates variables about competitors to prospects (both true and untrue) that the buyer may not know, it is unprofessional. Always box your competitors into a category using a verbal description and then talk directly about the potential consequences of buying from this category (i.e., the competitor is a national firm, a local firm, VAR, etc.). When describing your competitors to your prospects, pick unusual terms and words that create visual analogies in the brain of the buyer. For example, tell your prospect that the competitor is “like a retailer selling shoes who is always changing their inventory (describes a VAR),” or “They are bus people — they bus in the “A” team to sell you and then bus in the “B” team to deliver their technology (a national firm selling locally). Of all the deals I lost during the last 12 months, I told my sales manager that the reason we lost was because of competition more than 50% of the time. When a prospect from my sales forecast starts talking about other vendors in the deal having better functionally, service delivery or a lower price, one of the first things I do is discuss with my management team about cutting the price. Of all the deals that I have closed during the last eighteen months, more than 50% were based on price concessions. I have studied the top ten competitors in my market and business vertical and know how to position my firm in an offensive mode against each one. Give yourself 20% for each matching answer. Did you pass? If you failed, more than likely, you are not managing your IT marketing and sales process. 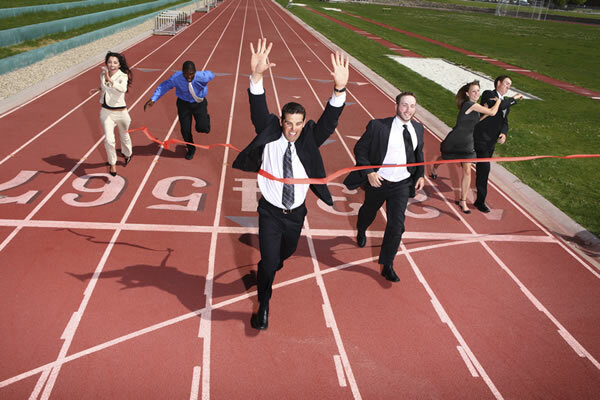 Competition is part of the IT marketing and sales game — live with it and manage it.